YA and angsty, just how I like it!!!! I seriously can’t enough of Erin Watt. Once again this dynamic duo bring us a beautiful story that is a total page turner! Elizabeth is finally a senior in High school, she and her family have had a really devastating few years, and “Beth” AKA Lizzy is ready to finish school so she can go away to college and start living her life away from her overbearing parents. After one particularly bad fight with her parents, Beth decides she wants to rebel by going to a party in a bad part of town. At this party, she meets a gorgeous boy that makes her feel at ease, secure in her own skin for the first time in her life. Chase and Beth spend an exhilarating night together, knowing they’ll never see each other again, this mystery makes their night so much better. Chase has become the most hated boy not only in school but in the small town of Darling. Beth is the only one who’s forgiven him, even though she’s the one who should hate him the most. I was biting my nails throughout the entire read. Some of the characters, especially Beth’s parents were very frustrating and totally unpredictable. I really enjoyed this story. 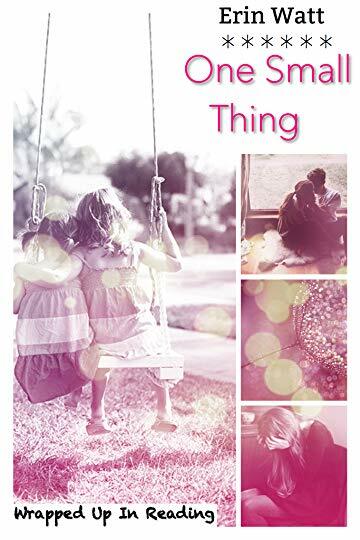 YA is not my go-to genre but when it’s a book written by the dynamic writing duo, Erin Watt, there is no way that I’m not going to make time for it. This story is filled with sadness, regret, and a ton of teenage angst and I couldn’t get enough of it. This is a tale of forbidden romance between two young kids who to the outside world should never have met. My heart hurt for poor Lizzie who was forced to live in the shadow of her dead older sister. I admired Chase for owning his mistakes and being the voice of reason that would help lead Lizzie away from her destructive path. I understood her frustrations with her parents but her rebellious behavior made her seem even more juvenile and beyond ignorant. I was equally annoyed with her parents for being completely blind and for putting their trust in the wrong people. Their punishments seemed over the top at times but I loved the message of the story. Forgiveness heals the soul, and sometimes people can change for the better. 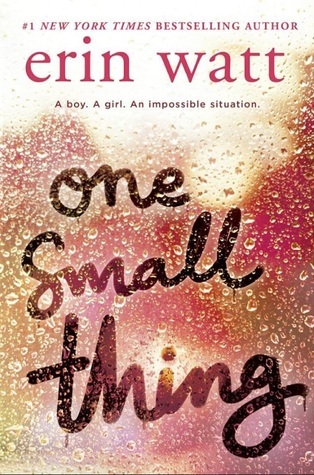 ONE SMALL THING is currently available! I can’t wait to see what these two authors have in store for us next!